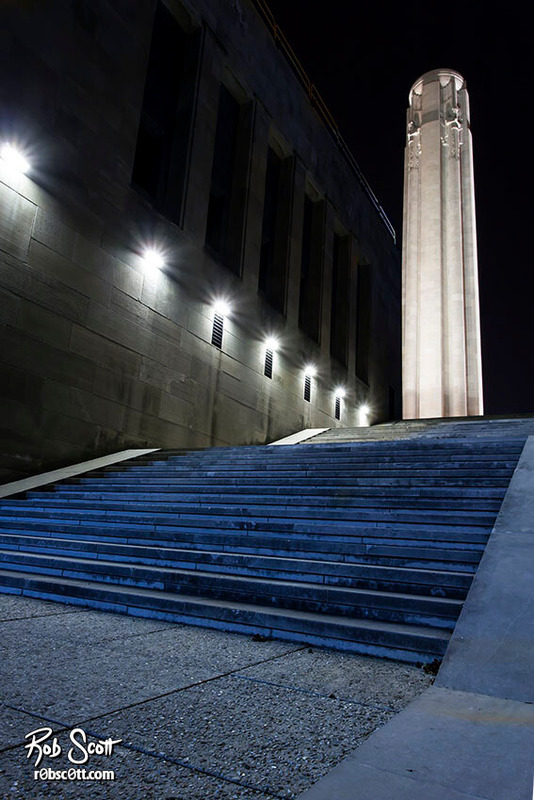 Walking around Liberty Memorial at night kind of reminded me of a movie set from a Hollywood thriller. Its limestone walls and larger than life Egyptian Revival architecture are a little eerie, but breathtaking at the same time. I was walking up the stairs and when I turned the corner, I was met with this view of the monument.